Tagged with Damian Hinds, Education ministers, EWF, UK. 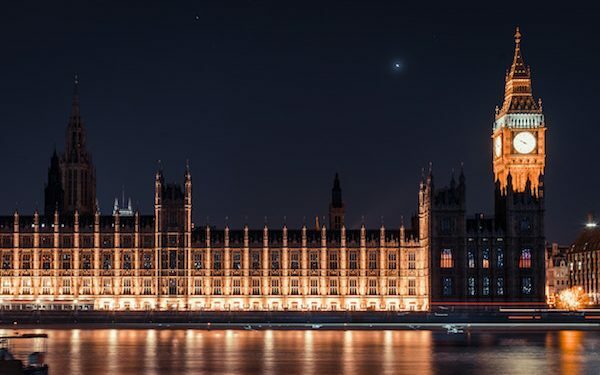 Damian Hinds, the UK government’s education minister, confirmed at the Education World Forum in London that he is working “across government” to solidify a new strategy on international education. "Brexit should mark us being even more outward looking and international than ever"
Speaking with the collected press after a plenary speech officially opening the event, Hinds expanded on his plans – along with the international trade minister, Liam Fox, to place international education firmly in the government’s post-Brexit industrial strategy. With the date for the UK’s exit from the EU fast approaching (March 29, as legislation stands at time of publication), Hinds pressed home the importance of the education sector as “a big part of our diplomacy”. The central focus of the new strategy will be inbound HE students, The PIE News understands, though the minister made clear that other sectors such as edtech are also prominent in the new plans. “Inbound international students is a really important part of [the strategy], both for the earnings reason – it’s an important part of business – but also, just as important, because of the role it plays in our place in the world and because it makes sure we have diverse, vibrant student communities where everyone is learning from each other,” Hinds said. Along with other government departments, Hinds is working with the UK international sector including the sector body for universities, UUKi. In recent months the organisation has been in contact with the government on several occasions, with roundtables organised to allow HEIs and ministers to share views. UUKi director Vivienne Stern told The PIE News the organisation was “delighted” to hear of the new strategy. “We’re delighted to hear the Secretary of State for Education speaking publicly about the new governmental international education strategy and we are looking forward to its launch. The sector has long called for an ambitious strategy, backed up by meaningful policy, to encourage international students to choose UK universities. International students are vital to our universities,” she said. A clear message from Hinds on Monday was the belief in the “great brands” of UK educational institutions and companies. “British education is renowned the world over… I always say we have some of the biggest brand names in the industry… That’s a great opportunity for growth for us,” he said. This same recognition of the British quality-marked education system can help build TNE opportunities, the minister added – despite the recent losses for the sector shown starkly in Egypt and China. Although the minister remained tight-lipped on the on-going Brexit drama, he did show support for PM May’s deal as the “best way to avoid no deal is a deal, a balanced deal. For sectors like education there are benefits to a negotiated exit,” he told the conference. “I am very clear that this moment of Brexit should mark us being even more outward looking and international than ever in the past. I don’t see any reason why leaving the EU should deny us that opportunity”. English UK has confirmed that the strategy, currently undergoing pre-launch finalisation, is the result of an 18-month consultation undertaken with a small education sector advisory group, to which the organisation took part. “The DIT set the group up to specifically explore how to make the most of this huge export industry,” chief executive Sarah Cooper said. Cooper added that the Home Office has also been involved in the consultation. The meetings have been held without publicity until the announcement earlier this week. The other organisations involved in the consultation were Universities UK, the British Council, Independent Higher Education, the Skills Partnership, BESA, the Council of British International Schools, Early Years and English UK. So what does Damien Hinds have to say about incoming EU Erasmus students? Who wish to undertake work experience in the UK? Can I expect an answer to this question?? ?